As many will know, there are two different systems of freedom of information, the first and better known, the Freedom for Information Act 2000, and the second, the Environmental Information Regulations 2009. From the perspective of the inquirer (Mr Henney, here), the EIRs are the more favourable, and it was the differences between the systems which gave rise to this long-running dispute to do with energy Smart Meters. The appeal went in favour of Mr Henney, and the Information Commissioner who had ruled in his favour. But the ultimate case is not resolved, as I shall explain. In November 2016, the Government responded in rather disappointing terms (here) to a consultation about amending its costs rules in civil cases to reflect the requirements of the Aarhus Convention. Article 9 of this Convention says that members of the public should be able to challenge environmental decisions, and the procedures for doing so shall be adequate and effective and “not prohibitively expensive“. Aarhus starters may want to have a look at my bluffers guide to Aarhus – here. First, the limited bit of good news in the governmental response. 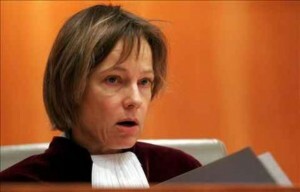 A quick note on the latest Aarhus Convention point to come before the domestic courts. In November 2015, I posted on the decision by Ouseley J in McMorn here that a gamekeeper’s challenge fell within the scope of Aarhus, and that as a result there should be a more intense scrutiny of the underlying merits of the claim than would typically be allowed under domestic public law principles. The current case bears on the standard of review point. Mr Dilner and other environmental campaigners challenged the tree-felling policies of Sheffield City Council, and one of his arguments was that tree-felling required an environmental assessment under the Environmental Impact Assessment Directive. 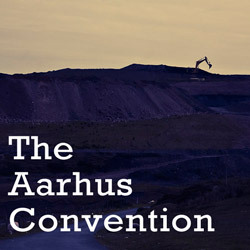 This environmental claim fell within the protections conferred by the Aarhus Convention, and hence, it was said, required such an intense scrutiny. Mr Dilner relied upon Ouseley J’s reasoning. Gilbart J robustly rejected the argument, and did not follow Ouseley J’s ruling. The pre-April 2013 Conditional Fee Agreement system, under which claimants could recover uplifts on their costs and their insurance premiums from defendants, has survived – just. It received a sustained challenge from defendants to the effect that such a system was in breach of their Article 6 rights to a fair trial. The decision arises out of the noisy speedway case about which I posted in March 2014 – here. The speedway business ended up being ordered to pay £640,000 by way of costs after the trial. On an initial hearing (my post here), the Supreme Court was so disturbed by this that they ordered a further hearing to decide whether this was compatible with Article 6 . Water and sewage utility companies are “public authorities” for the purposes of the environmental information regulations, and are bound by them accordingly, the Administrative Appeals Chamber of the Upper Tribunal has ruled. Fish Legal is the legal arm of the Angling Trust. In 2009 it asked United Utilities Water plc and Yorkshire Water Services Ltd for information relating to discharges, clean-up operations, and emergency overflow. Emily Shirley is a private individual. Again, she asked Southern Water Services Ltd for information relating to sewerage capacity for a planning proposal in her village. All three companies denied that they were under a duty to provide the information under Environmental Information Regulations. Both Fish Legal and Mrs Shirley complained to the Commissioner. In 2010 the Commissioner replied, explaining that as the companies were not public authorities for the purposes of EIR, he had no power to adjudicate the complaints. Two important cases in the last few days showing how difficult it is to find a fair way to litigate private nuisance cases. Most of these claims have a modest financial value, but may raise complex factual and expert issues, even before you get to the law. The first case I shall deal with, Coventry, shows the iniquities of the recently departed system. The second, Austin, the dangers of the new. Coventry is the sequel to the speedway case about which I posted in March – here. The”relatively small” local speedway business ended up being ordered to pay £640,000 by way of costs after the trial. More than half of this was no-win-no-fee uplift and insurance premium combined. Indeed, the Supreme Court was so disturbed by this that they have ordered a further hearing to decide whether such a costs bill was in breach of Article 6 of the ECHR. Austin is a claim concerning noise and dust affecting the claimant’s house close to an open-cast mine on the edge of Merthyr Tydfil: see pic. Before I go further, I should say that I represented Mrs Austin at an earlier stage of these proceedings. In the present hearing, she unsuccessfully sought an order limiting the costs which she might have to pay if she lost the litigation (a protective costs order or PCO). So each case is about a costs burden, which is capable of causing injustice to one or other party. Litigation costs are troublesome, but they are particularly difficult in environmental cases where the claimant is not necessarily pursuing his private interests. This case is the result of a long-running and successful campaign by NGOs to persuade the EU Commission to investigate UK environmental legal costs. The main finding may not bother the UK too much, because wisely it saw this one coming and changed costs rules in environmental public law cases. A subsidiary ruling about cross-undertakings has also been more recently included in a rule change. All of this comes from Article 9 of the Aarhus Convention (to which the EU has subscribed) which says that members of the public should be able to challenge environmental decisions, and the procedures for doing so shall be adequate and effective and “not prohibitively expensive”. This is the last gasp in the saga on whether Mrs Pallikaropoulos should bear £25,000 of the costs of her unsuccessful 2008 appeal to the House of Lords. And the answer, after intervening trips to the Supreme Court in 2010 and to the CJEU in 2013, is a finding by the Supreme Court that she should bear those costs. The judgment by Lord Carnwath (for the Court) is a helpful application of the somewhat opaque reasoning of the European Court on how to decide whether an environmental case is “prohibitively expensive” per Article 9(4) of the Aarhus Convention, and thus whether the court should protect the claimant against such liabilities. The judgment also considers the guidance given by A-G Kokott more recently in infraction proceedings against the UK for breaches of that provision: see my post. But note that the dispute has been largely overtaken by recent rule changes, and so we should start with these before looking at the judgment. Forgive me for returning to this case, but it raises all sorts of questions. On the face of it, it concerns 2 specific environmental directives, but it has implications for costs generally in environmental cases. And why do I go on about costs? Because the prospect of being seriously out of pocket deters even the most altruistic environmentalist if they lose. Some may be purely NIMBYs, but most have a rather wider sense of the things that matter and that is not just about protecting their own assets. Claimants are normally up against public authorities and/or developers, so the balance of power has to be struck in the right place between them. Aarhus seems to seep into cases everywhere, so I thought it was about time to start from scratch. 1. What is Aarhus? 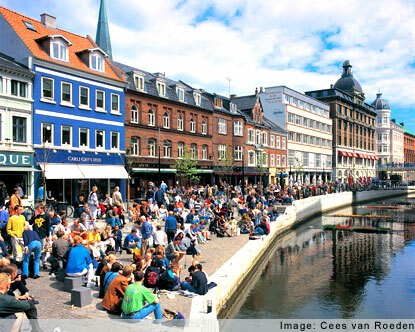 Denmark’s second city. You can write it like Århus, if you want a bit more Jutland cred. Ryanair fly there-ish (45km away). 2. How do you say it? Something like Orr-hoose: Danes, any better transliteration? 3. Why do lawyers go on about it? Because the UN-ECE Aarhus Convention was signed there in 1998. It came into force on 30 October 2001. 5. What is the Convention about? 3 things (or pillars, in treaty-argot). access to justice in environmental matters. 6. Is the UK signed up? Yes, founder member. It ratified it in 2005, when the EU did.